"Thank you, my dear friend, US President Donald Trump, for having decided to declare Iran's Revolutionary Guards a terrorist organisation," Benjamin Netanyahu said in a statement. Benjamin Netanyahu said Donald Trump had responded to a "request of mine." Israeli Prime Minister Benjamin Netanyahu on Monday lauded the US decision to designate Iran's Revolutionary Guards a terrorist organisation, saying President Donald Trump had responded to a "request of mine." 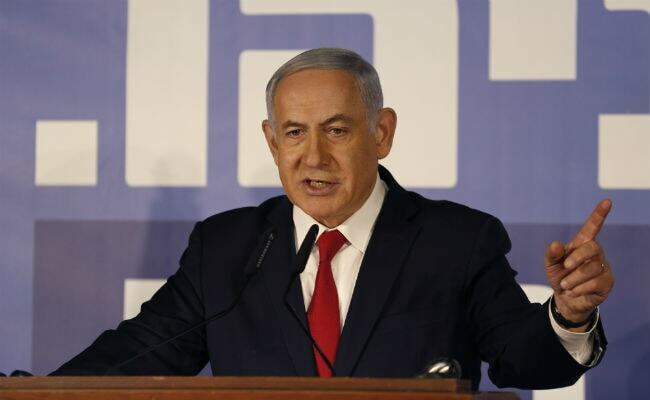 "Thank you, my dear friend, US President Donald Trump, for having decided to declare Iran's Revolutionary Guards a terrorist organisation," Netanyahu said in a statement a day ahead of Israeli elections in which he is seeking a fifth term.